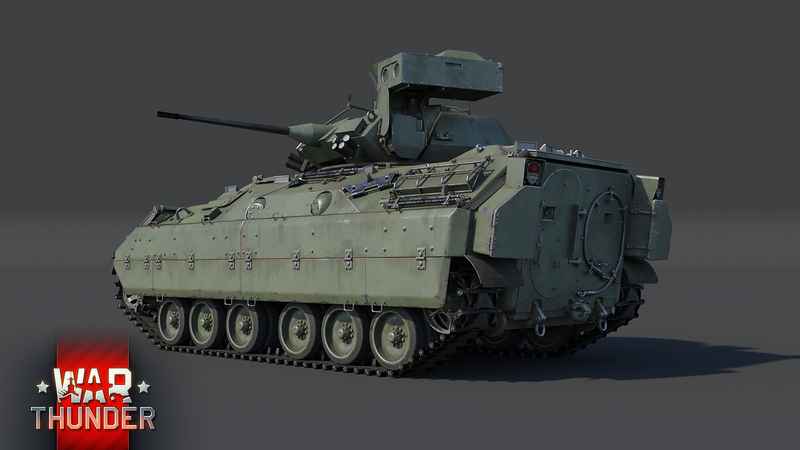 Development of the Bradley began in the late 1950s, when the U.S. Army began seeking a replacement for the aging M113 APC. However, despite beginning development relatively early, the successor to the M113 wouldn’t enter service with the Army in the following two decades. The reason behind this was the constantly changing specifications, requirements and doctrines around which the new vehicle would be designed. The constantly changing requirements on the other hand, were driven by various technical and political problems arising during development. Eventually, in 1979, the final design was presented to the Army and production was approved shortly afterwards in 1980. The Bradley, named after WW2 Army General Omar Bradley, was split into two versions, both closely resembling each other, but featuring minor differences and intended for different roles. While the M2 Bradley was intended as an IFV, capable of transporting and supporting infantry units in combat, the M3 Bradley CFV (Cavalry Fighting Vehicle) is intended to perform scouting and reconnaissance work, ditching its infantry-carrying ability in favor of improved communications systems and increased ammunition capacity. The Bradley entered service with the U.S. Army in 1981 and saw extensive combat use during the Gulf War as well as subsequent conflicts. Despite several (unsuccessful) efforts being made to replace the Bradley with a newer design, the vehicle still remains in active service with U.S. armed forces today, with over 6,500 units produced. 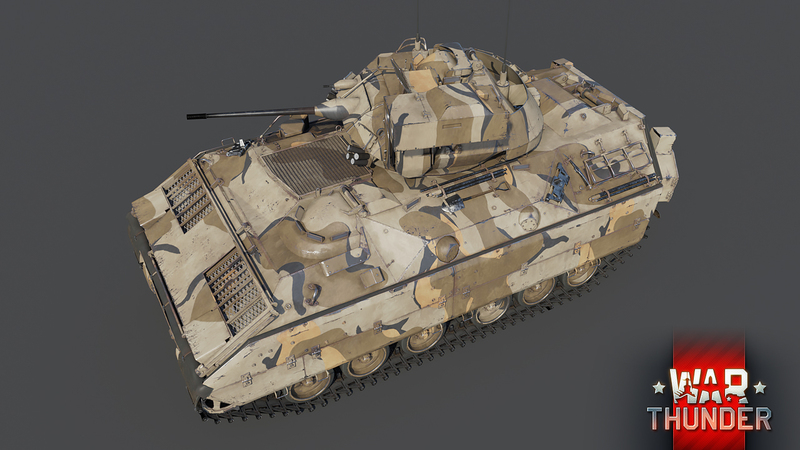 In War Thunder, the Bradley will be the first infantry fighting vehicle coming to the top rank of the American ground forces tree with the release of update 1.85. 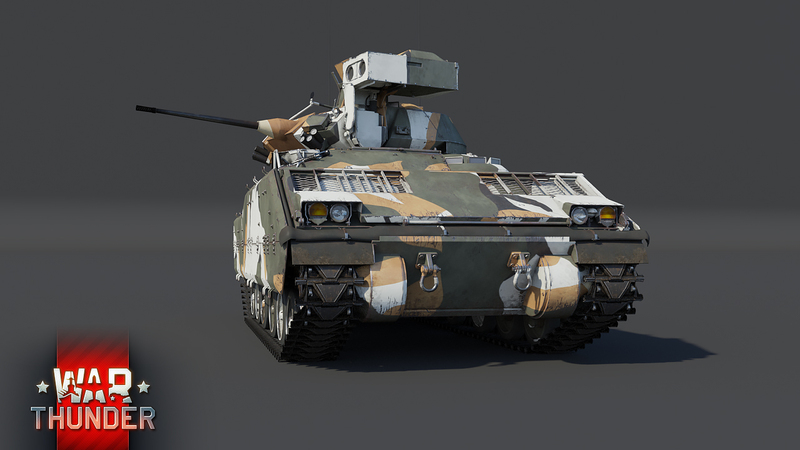 Extremely mobile and well armed, despite not seeming like it at first, the Bradley is able to strike fear into tankers commanding even the most heavily armored top tier MBTs! 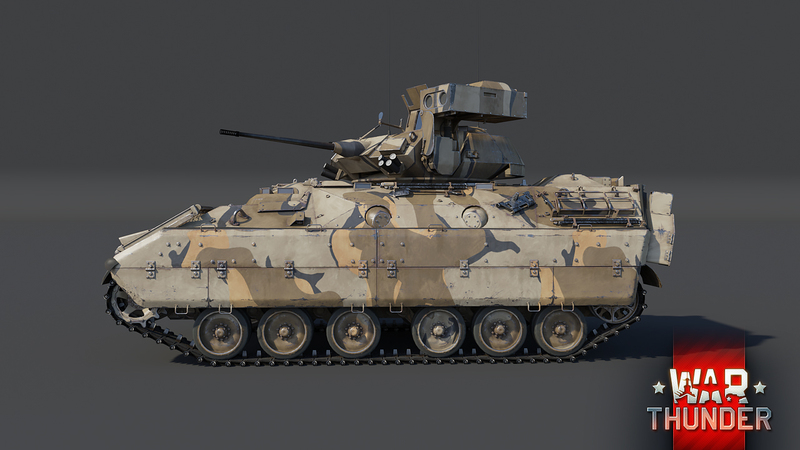 As most vehicles of this class, the M3 Bradley is rather lightly armored and is only capable of withstanding heavy machine gun and some light cannon fire, thanks to its spaced laminate aluminum armor. Although this armor solution doesn’t offer superb protection characteristics, it does help with keeping the vehicle’s weight as low as possible, which in turn has a positive effect on mobility. Speaking of which, the M3 Bradley is capable of reaching a top speed of up to 41 mph (66 km/h) on roads, thanks to its 600 horsepower diesel engine. While this doesn’t make it the fastest vehicle of its class compared to similar vehicles of other nations, it’s still more than enough to allow it to cover ground quickly and outmaneuver potential opponents, even in relatively rough terrain. still more than enough to allow it to cover ground quickly and outmaneuver potential opponents, even in relatively rough terrain. 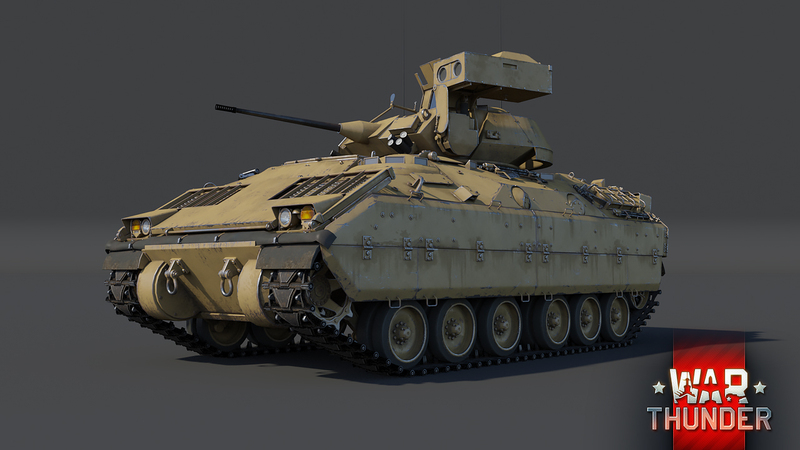 Fun Fact: The troublesome development of the Bradley IFV is depicted by the 1998 satirical movie “The Pentagon Wars”, which is based on the book of the same name, whose author took part in the vehicle’s development. Being armed with a 25mm chain gun, the M3 Bradley isn’t able to fight enemy MBTs with composite and reactive armor solutions head on. However, when taking advantage of the vehicle’s excellent mobility, the M3 Bradley is more than capable of piercing the relatively thinly armored sides of most MBTs and deal tremendous damage with its respectable rate of fire of 200 rounds/min. Future Bradley commanders will inevitably sometimes find themselves in the situation where either the enemy can’t be flanked or is too far away to effectively combat using the main gun. 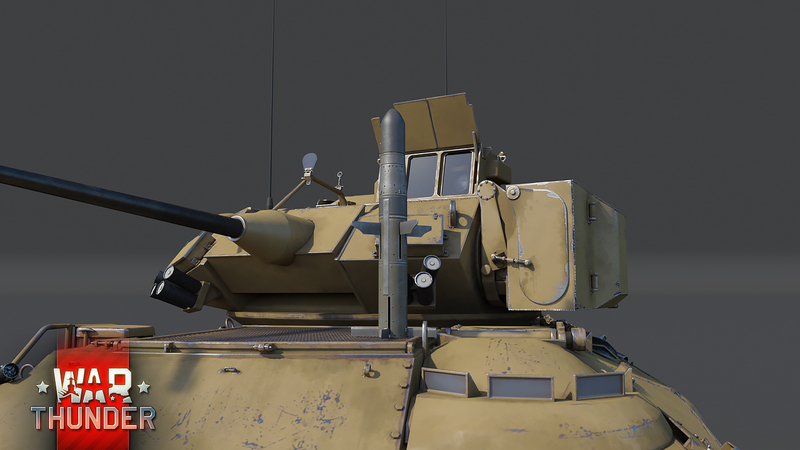 In such circumstances, you’ll be glad to hear that the Bradley also has a dual TOW ATGM launcher mounted on the side of the turret. The familiar TOW missiles will allow Bradley commanders to engage targets at far range with great precision as well as take on enemy MBTs head on, if the need arises. However, it’s also important to mention that the TOW launcher on the Bradley is unable to fire its missiles while on the move and at high speeds. Bradley crews in real life would retract the launcher during travel in order to prevent it from possibly detaching itself from the vehicle at high speeds. This procedure will also be simulated in the game, with the launcher automatically retracting and deploying itself, depending on if and how fast the vehicle is moving. 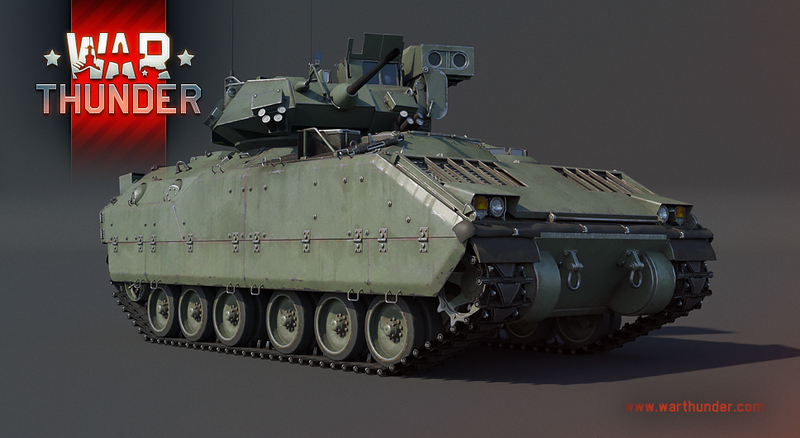 The long-awaited M3 Bradley is finally coming to War Thunder with the upcoming update 1.85 and will be available to all tankers at the top rank of the American ground forces research tree. In the meantime, stay tuned to the news for more information regarding the next major update. Until then, tankers!